PLEASE NOTE THIS IS A SUNDAY SHOW. SPECIAL EVEN T PRICING $15/20 for the LEGENDARY Gurf Morlix. 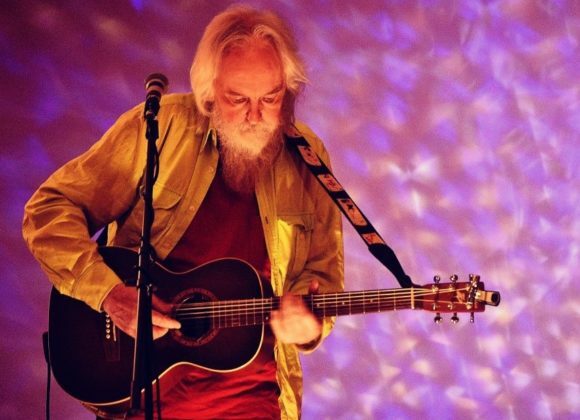 Veteran roots music producer, songwriter, performer, and Austin Music Hall of Fame inductee Gurf Morlix is touring the country in support of a brand-new release, ‘Impossible Blue.’ He will be in concert at the ACMA Listening Room at All Faiths on Sunday, February 17th. Film star and writer/director Ethan Hawke, perhaps one of Morlix’s newest and most recognizable fans, remarked about discovering his work. “If you are serious about music, you might want to get serious about Gurf Morlix. Part Alt/Country, part blues, part literature- every one of Gurf’s albums are excellent.” Morlix appeared in and worked with Hawke on the recently released bio-pic, Blaze, a film that tells the sad and poetic tale of Morlix’s best friend, Texas singer-songwriter Blaze Foley, who died an untimely and violent death in the 70s. Morlix is know for producing albums for roots music luminaries such as Lucinda Williams, Robert Earl Keen, Ray Wylie Hubbard, Slaid Cleaves, and more ‘Impossible Blue’ is Morlix’s 10th studio release of his own music, his previous releases having topped Roots/Americana charts in the US and in Europe. ACMA member David Hintz opens the show.David Hintz has been performing and writing songs since the mid 1960’s. For reasons he will never quite understand, he put away pen and guitar for many years until the early 21st century. So after a 25 year hiatus David was coerced into going to an open mic in Fort Myers, FL. Scared to death and being extremely shy he performed a few of his original songs and the world hasn’t been the same since. Previous Event LinkSongwriters at the Library. Estero, Bradford, Knake, SteelNext Event LinkVerlon Thompson Sold Out …..